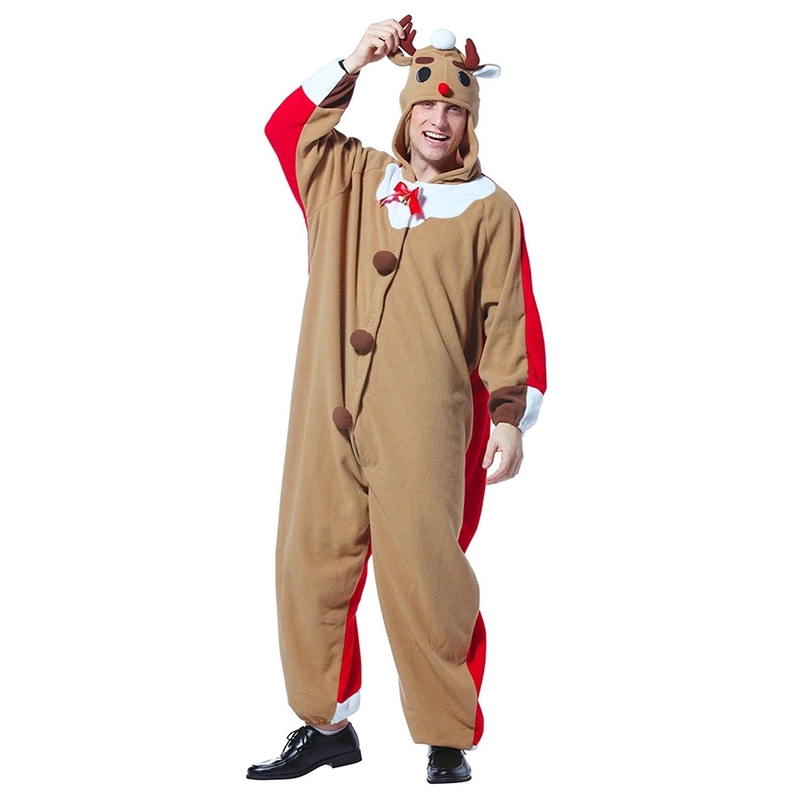 Bring good tidings to all this Christmas dressed in this Reindeer & Santa Adult Unisex Onesie. Made of 100% polyester, this unique adult, unisex onesie exudes Christmas Spirit. 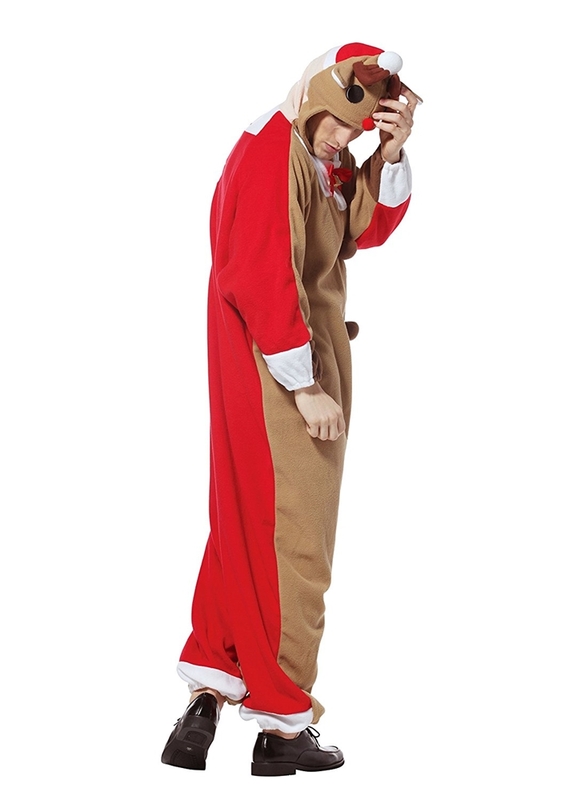 The adult onesie features a red nose reindeer on one side and a jolly old Saint Nick on the other. The front of the onesie is light brown. It is detailed with brown pompoms on the center; a printed white collar decorated with a red bow; and an attached hood topped with soft antlers, ears, a red nose, and black eyes. 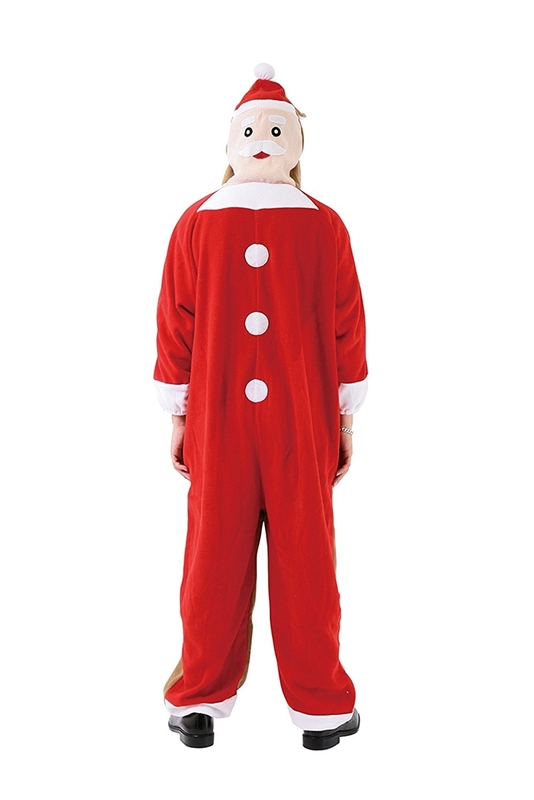 The backside of the onesie features a red Santa suit with printed white pompoms and a white collar. The back of the hood features Santa’s face wearing a red Santa hat topped with a white pompom. Hand Wash Cold Water, Do Not Bleach, Do Not Iron.